Inbound marketing is the process of attracting website visitors and converting them to leads. Inbound marketing includes strategies like search engine optimization, as well as tools such as call to action buttons and landing pages. Most importantly, inbound marketing is driven by great content, including informative web pages, blog articles, social posts and downloadable content. Content marketing is the art and science behind creating great content that is optimized for the intended use. It is content written and designed for a specific audience, in a specific point in the buying journey and intended to inspire a next step. Outbound marketing generally encompasses traditional advertising tactics – from direct mail to print ads and telemarketing. 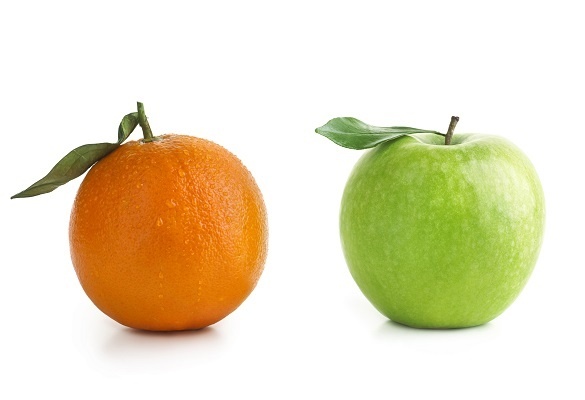 What are the key differences between outbound and inbound marketing tactics? Puts your promotional materials in front of prospects. They must interrupt what they are doing to interact with you. Attracts prospects to your website when it’s convenient for them, on their terms. They’re engaged, ready to listen. Which is better for lead generation – outbound or inbound marketing? While both outbound and inbound marketing strategies continue to have value, the average cost per lead is almost two-thirds less when using inbound versus outbound marketing. HubSpot’s 2012 State of Inbound report found that the average outbound-marketing dominated lead cost $346. The average inbound-marketing dominated lead cost only $135 – a difference of 61 percent! Inbound marketing produces a good ROI. According to HubSpot’s State of Inbound 2017 report, only 12 percent of organizations believed that outbound marketing provided a higher ROI compared to inbound marketing. A far greater number – 46 percent – believed that inbound marketing produced the better ROI, while the rest didn’t calculate the ROI, didn’t know or didn’t find the question applicable. Inbound marketing also produces quality leads. According to the same report, 59 percent of organizations stated that inbound practices produced the highest quality leads, compared to self-sourced leads from sale (26 percent) and outbound practices (16 percent). 1. Traffic Generation: According to BrightEdge, 51 percent of website traffic comes from organic search, and 40 percent of revenue comes from organic traffic. Meeting or exceeding traffic goals is impossible without search engine optimization (SEO) strategies, and these SEO strategies must keep up with changes in the way people interact with the internet. Google has stated that more than half of searches are now done using mobile devices. As a result, mobile optimization is now an essential element of SEO. Voice searches are also growing, with implications for the search terms people use. Elements like keywords and meta tags remain important, but they’ve changed. Google recently announced that the meta description character limit has been increased to 320. Keywords are also getting longer, as marketers find that focusing on long-tailed key words help them find their audience in a crowded space. More and more, the emphasis is on producing quality content to attract consumers. Econsultancy found that 45 percent of companies say content marketing is highly integrated with SEO strategy. 2. Engagement: Once visitors arrive, you must engage them with compelling, informative content. You need interesting website copy, an up-to-date blog with new information weekly, and opportunities for prospects to learn more by downloading more in-depth content. Why invest in blog writing? On your website, the number of product and services pages is somewhat limited by the actual number of products and services you offer, but topics for blog posts are infinite. Having an active blog will help you index more pages and rank better, and it creates more top-of-the-sales funnel content to attract more leads. Blog writing also keeps visitors returning to your website on a weekly basis to read your latest articles. Repeat interactions build trust and familiarity so when the prospect if ready to buy, he or she will consider you first. Unfortunately, many companies spend a lot of effort writing and posting blogs with little return on investment because they do not promote their blogs or apply SEO strategies to their websites. In these cases, the blogs are lost in the Internet forest – never to be found! To maximize impact, your blog must be shared through social media venues. Doing so will generate interest and clicks back to your insurance website. It also promotes further sharing by readers. According to Social Media Examiner’s 2017 Industry Report, 92 percent of marketers say that social media is important to their businesses. 3. Online Lead Generation: Once all your rankings are improving, you’re blogging regularly, and you’re posting links on social media venues, you can focus on leads. You have increased traffic, so it’s time to make that traffic productive. To do so, you need to craft premium offers, landing pages and call to action buttons throughout your website. Where blogs are public-facing and available for all to digest, premium offers like webinars, white papers and case study downloads are linked to from call-to-action buttons and require visitors to submit their email address on a landing page in order to retrieve or register. When a visitor fills out the form to access this content, a lead is created. This is online lead generation at its simplest and most effective. For businesses that seriously consider their website to be their growth hub, the marketing efficiency behind these tactics is undeniable. And from a sales perspective, leads generated from educational, customer-targeted content are hugely productive. 4. Prospect Nurturing: Most prospective clients who come to your website are not yet sales ready. That’s why they don’t respond to an offer for a free quote or consultation. What can you do? NUTURE THEM with informational offers to improve their understanding and sales readiness. How does it work? All visitors who download your content must be followed up with, either in person or by using automation. When following up, you should invite prospects to re-engage on your website by presenting additional related offers. These offers are presented through auto-responder type email marketing. For example, if you downloaded my “Websites Gone Wrong” report, I might follow up in three days to see if you might also be interested in my “Search Engine Optimization” report. Each time you engage with me, I follow up to offer you something else of interest. Over time, you develop knowledge and trust to help you take control of your buying decision. Gartner Research projects that by 2020 customers will manage 85% of their relationship without talking to a human. Is your business model ready for this shift? Inbound marketing represents a seismic shift in the way businesses market themselves. The return on investment for inbound marketing is undeniable, but the entire inbound process starts and ends with great content. Ready to get started? Find out how we can fuel your content writing strategy.